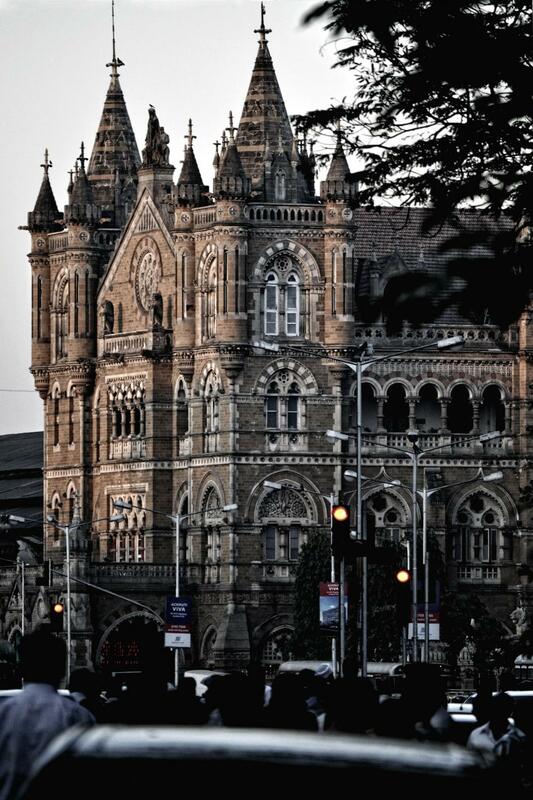 This is one the most breath taking buildings I find in Mumbai. As soon as you see this building, you get this feeling of pride mixed with patriotism......This building is a spectacular example of Victorian Architecture. What surprises me is How those thousands of travelers every single day don't seem to notice the beauty of CST/ VT as popularly called. They rush in and out and don't seem to have a moment to gasp at the beautiful carvings. The stained glasses, those small monkeys on the pillars(yes there are - you need to just notice them), the beautiful flower carvings etc all go sadly unnoticed by more than 99% people visiting CST. Ironically is this was for them to travel somewhere in Europe and there they visit such an architecture, all would roam about it with craned necks and jaws dropped. ! Why cant we be proud of what our city has? This thought always saddens me. Anyway moving from the gloomy side of this, CST hubs 19 platforms, 11 meant for local and 8 for out-station. This architecture was built to celebrate the Silver Jubilee of Queen Victoria. I always have wondered, if we were to see the other side of the coin of English Rule over Mumbai it would include CST, Mumbai University, High Court, Flora Fountain, nothing would have ever existed. All these were either initiatives of the British or gifts built for them . We always say yes its the "Victorian" Architecture, and true that the architect was also English, but we seem to never mention the importance, or we never seem to highlight those innumerable number of LOCAL workers, who helped create their imagination. For those times I don't think I mistake if I say imagination. Such magnanimity for those days is astonishing. The architect yes planned, drew out the plans for CST, but those workers who executed it ? Thought Provoking ! CST is a WORLD UNESCO HERITAGE CENTRE! This building has the royalty linked with it very clearly!